Here, the best ways to ring in the new year with amazing food and drinks from F&W Chefs-in-Residence David Chang, Hugh Acheson, Grant Achatz and Mario Batali. 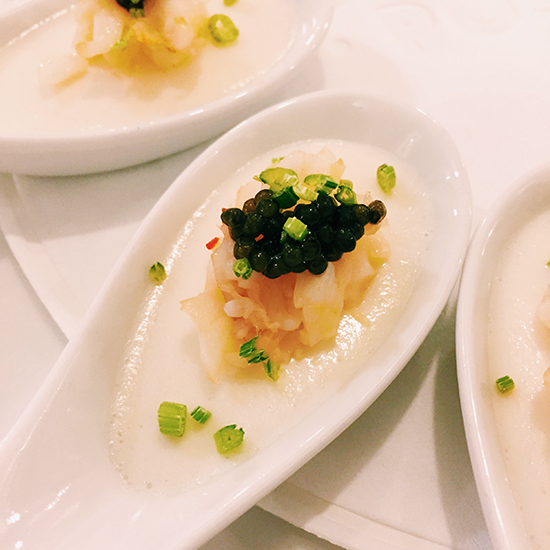 Chefs know how to party—that goes double on New Year’s Eve and triple for F&W’s Chefs-in-Residence. Here, the best ways to ring in the new year with amazing food and drinks from F&W Chefs-in-Residence David Chang, Hugh Acheson, Grant Achatz and Mario Batali. “If there’s any place to spend a proper New Year’s Eve, it’s Del Posto,” says Batali of his upscale NYC Italian spot. “It’s formal (but not too formal), fun (but not raucous) and supremely delicious.” The restaurant is throwing a black-and-white party in the private Piemonte dining room. The menu includes a selection of assaggi (small, Italian tastes) like porchetta sandwiches, chickpea farinata (thin crêpes) and savory cauliflower budino with lobster and caviar. And, most importantly, there will be an open bar. At Chang’s East Village Momofuku Ssäm Bar, revelers can go all-out with a bo ssäm feast (roasted pork shoulder with oysters on the half shell, rice, lettuce and all sorts of wrapping accoutrements), a whole rotisserie duck, dry-aged rib eye or, for groups of two to four, a special chef’s tasting menu. Uptown at Má Pêche, guests can get a three-course prix fixe with a choice of Chang’s insanely crispy fried chicken, short rib or both. In Chicago, Grant Achatz’s Next restaurant will be open on New Year’s Eve and offering the Trio menu for the last time. The 21-course dinner features dishes like Achatz’s famous black truffle explosion and a deconstructed dark beer for dessert. The Aviary, Achatz’s high-tech bar, is hosting two parties: a pre-party celebration and a New Year’s Eve bash. The pre-party includes small bites and cocktails, while the 9 p.m. event is centered on a five-course tasting menu and a midnight Champagne toast. Acheson’s four-course prix fixe New Year’s Eve menu at Five & Ten, his Athens, Georgia restaurant, gives partiers options like foie gras terrine with chile chicken skin or Arctic char crudo, butter poached lobster or potato gnocchi and chocolate soufflé or grapefruit pudding cake. In Savannah, Acheson’s foray into Italian food, The Florence, is also offering a tasting menu with dishes like ricotta and whole egg ravioli, wood fire-grilled lobster and quail roulade.